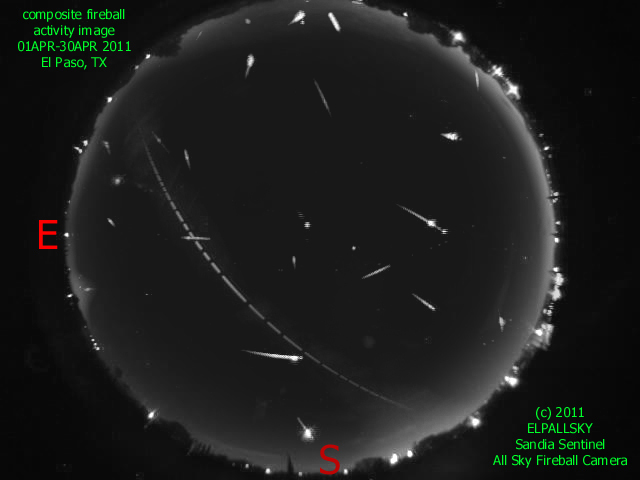 This is the monthly composite image of all fireball activity captured by the El Paso, TX Station-Sandia Sentinel All Sky Fireball Camera. The image includes an ISS pass as well as Lyrid meteor/fireballs of magnitude -2 and brighter. Enjoy!